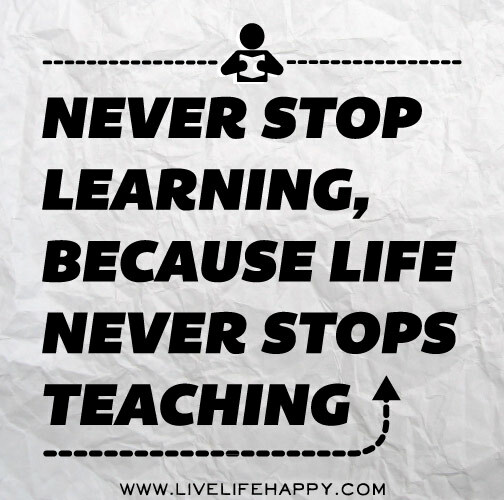 You Are NOT Too Old to Learn! As a lifelong learner myself, and an education professional within a month or two of having my Doctor of Education degree (at the age of 58 – turning 59 in March 2017! ), I can state emphatically you are NOT too old to learn! Especially with the prevalence of online learning, the pursuit of higher education is more convenient and flexible now than ever before for adult learners who have multiple obligations and demands on their time. So as we close out 2016, and make plans and goals for 2017, I thought I would revive an older post to encourage someone out there to perhaps consider making higher education a part of your plans! If you have thought about going back to school, and then thought you were too old–or that it was too late to learn – I’m here to tell you from experience, as long as you’re alive, it’s never too late to learn! Check out this interesting infographic a writer friend located for me. Are we ever too old to learn and succeed? I see some really familiar faces there – and others unknown to me – but how fascinating! Some of these people were in their 20s, 30s, 40s, and OLDER, before they ever began their journeys toward their now noted achievements in life. I can really relate, because I was 50 when I earned my Master of Education (M.Ed.) degree back in 2008, which launched me into my current instructional design and curriculum development career. Now, at 58 (as I mentioned), I am within a couple months of finally achieving my highest academic endeavor: earning my Doctor of Education (Ed.D.) degree and becoming Dr. K. Lee Banks! What do you think of this infographic? Did you know some of these people achieved their success later in life? How about you? Have you recently taken steps to pursue a delayed goal in your life? I do think some people meet success later in life. Or go back to school to learn a new career. Things have changed since I was little. I am thinking about going back to school. If I can arrange in teh next few years i want to have avehilce to get there. Than I will do it. As long as you’re alive… you can still learn new things… and apply them to living a better life.